Necklace Measures 16 inches long have lobster clasp to open and close with 3 inches extension total Necklace length 18 inches. Earrings measures 1 inch. 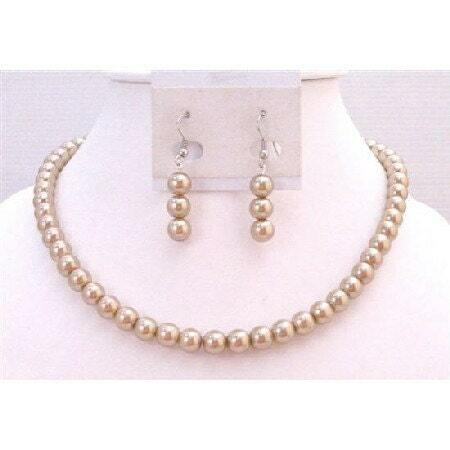 Beautiful color of Pearls and good quality of accessory being used. 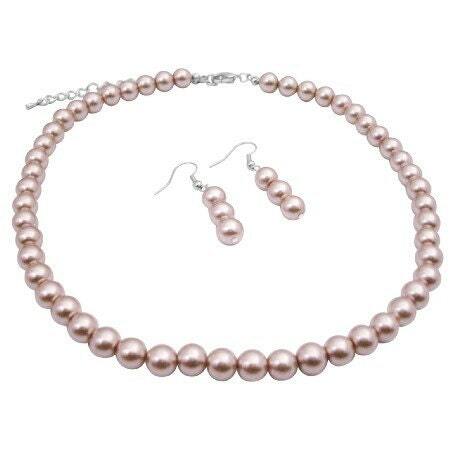 This Necklace Set would make a lovely gift or great addition for your own jewelry wardrobe! So happy when I received my jewelry sets and the color was so beautiful. I can't wait to give them to my bridesmaids.